A low, comfortable height slip-on shoe from Ruby Shoo, the June features a vintage-look, an elegant style which will carry you through from day to evening. Covering the Ruby Shoo womens low heel shoes is herringbone tweed uppers and a pop of this season's on trend burnt orange, lined a classic polka dot fabric. 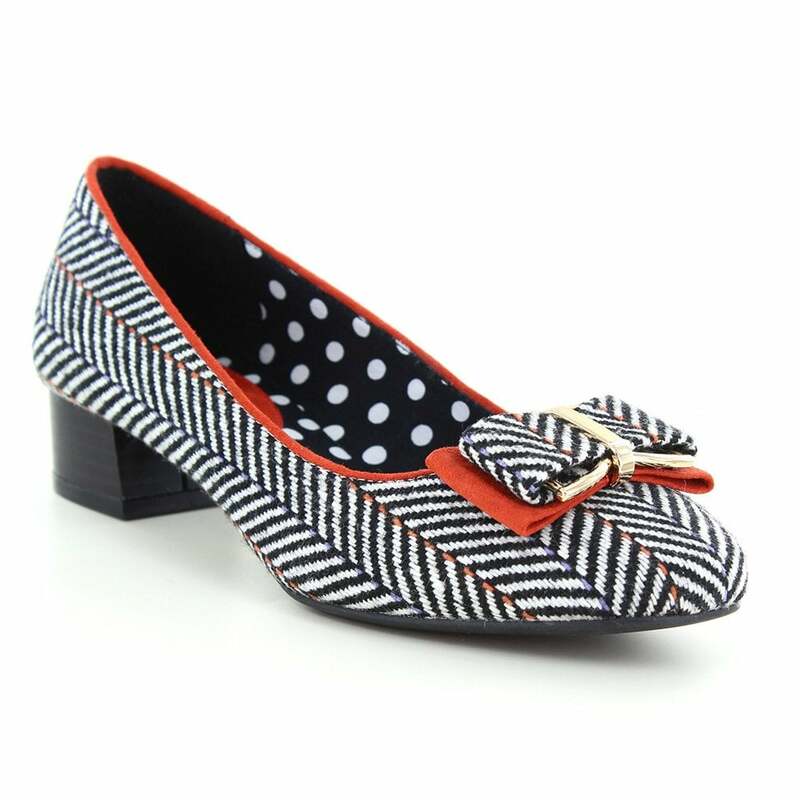 Finished with a decorative double bow in matching tweed and burnt orange across the toes, you'll be wondering where these shoes were all your life!